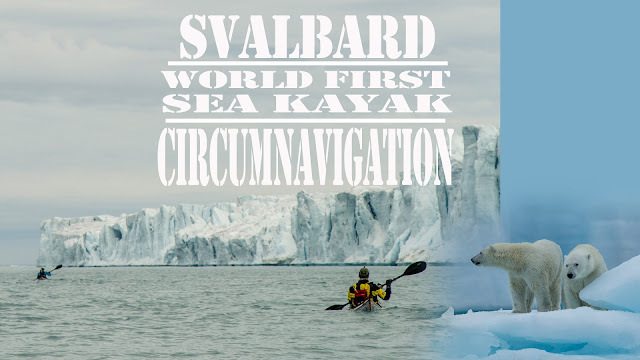 On the 5th of September 2015, a team of three kayakers completed the first ever kayak circumnavigation of Svalbard Archipelago including the islands of Spitsbergen, Nordaustlandet, Barents Oya and Edge Oya. The 2200km long journey took them 71 days, during which they paddled north over the 80th parallel, had many encounters with polar bears, negotiated ice choked waters, survived gales, and endured days of freezing temperatures in the Arctic wilderness. In the heart of the Arctic Ocean, at 76-81 degrees north, the Svalbard Archipelago remained one of the world’s last great ‘firsts’. Despite numerous attempts, no one had ever paddled around the four main islands of the archipelago, and the most notorious of the islands being “Nordaustlandet”, for the majority of the year, the island remains trapped in ice and only a brief window, if any, opens up in the far north, allowing passage. The name of the expedition, ‘Ice Bears and Islands’, refers to the many polar bears that roam in this desolate wilderness, also known as ‘isbjørn’ in Norwegian and literally translating to ‘Ice Bear’, polar bears were also a huge (literally and figuratively) hazard on the trip. 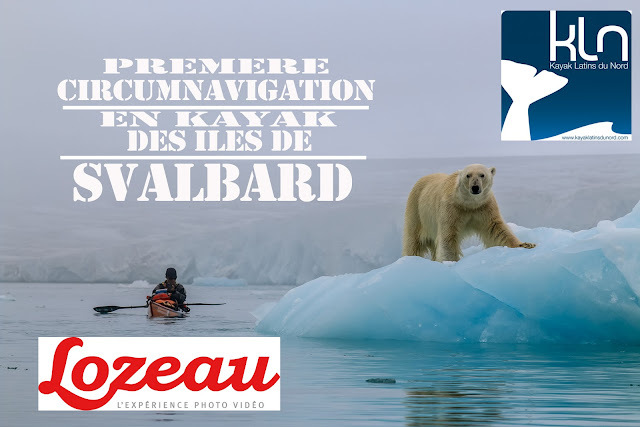 All past attempts at the circumnavigation were brought to a sudden end: one team had their kayaks smashed to pieces; another was trapped by fast moving pack ice, and the most recent and horrific being two Norwegian paddlers who were attacked by a polar bear. Jaime Sharp will be telling the tale of their succesful adventure, using video and photo tied in with his spoken narration to draw you into there arctic adventure. Jaime has presented this show over 25 times in over 6 countries, come along and be amazed. Many to choose from $15 each or two for $25, can be signed by the photographer on the night. WIN! Come along and enter to win a new Lendal Paddle on the night included in your ticket purchase. WIN! Come along and enter to win a new Lendal Paddle on the night, included in your ticket purchase. Enter a raffle for a free Lendall paddle. Tickets are $10 (pay at the door).